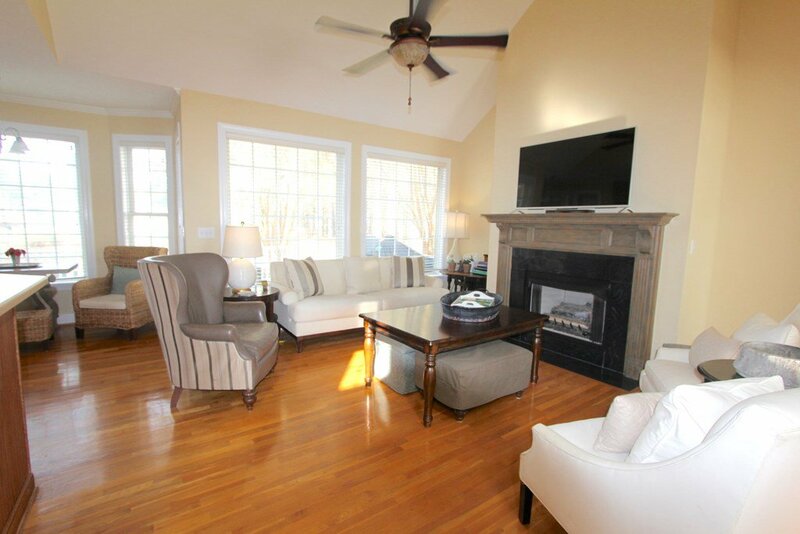 Retirement living at it's best, this Grand Harbor home offers amazing sunsets and with the views of the fairway and no home on the left you feel the delightfulness of privacy while still being able to enjoy the golfers. 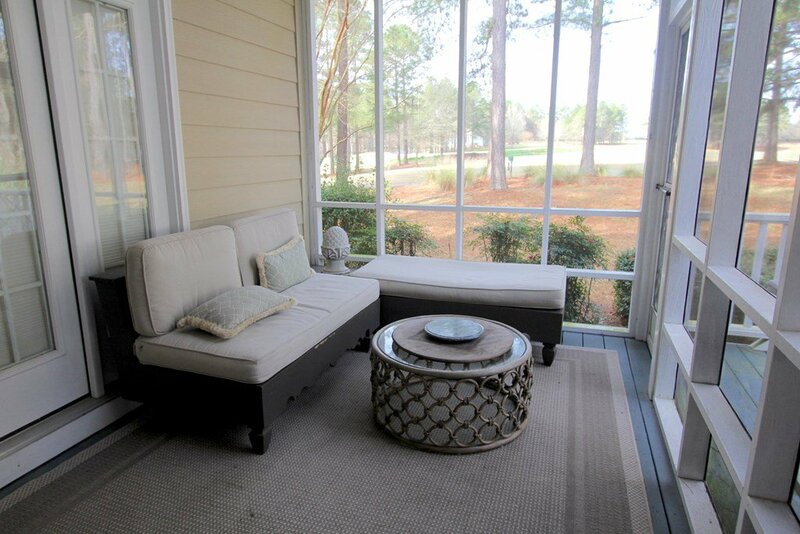 Just a short cart ride to the clubhouse and pro shop or the lake front marina with the fitness center nearby. 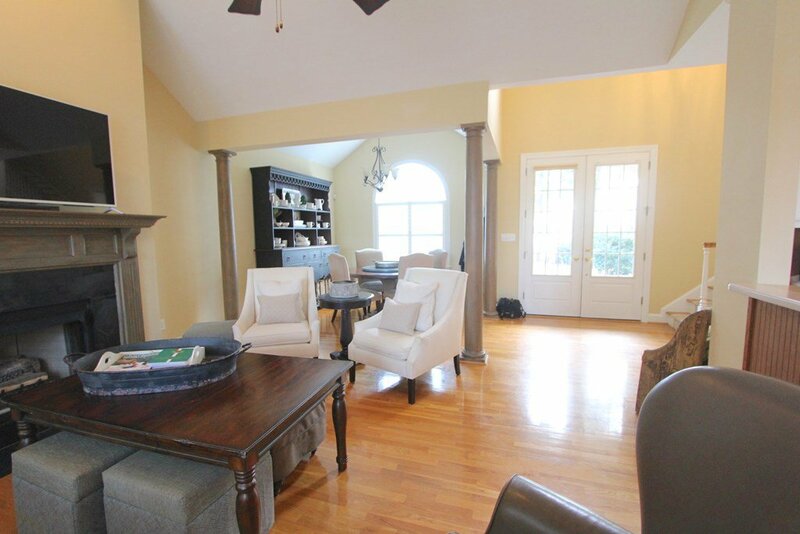 This home lives well with the open floor plan, expansive ceilings, lots of windows for natural light and the fireplace with gas logs for cool evenings. 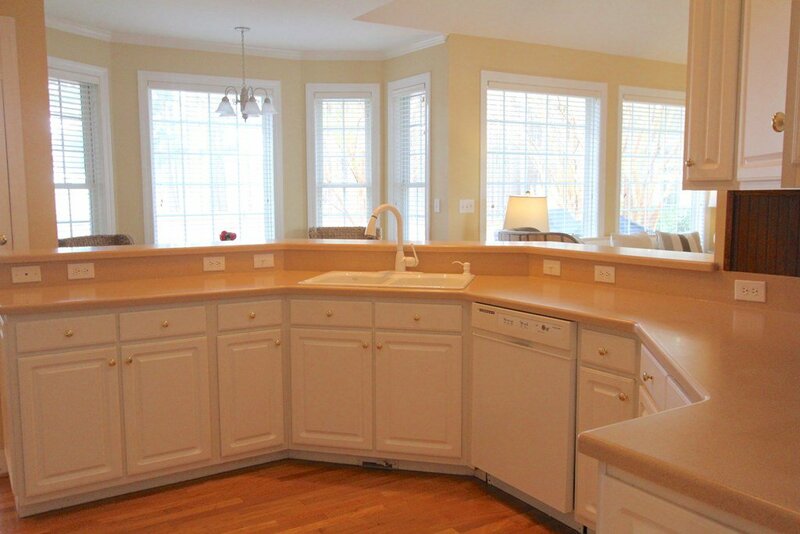 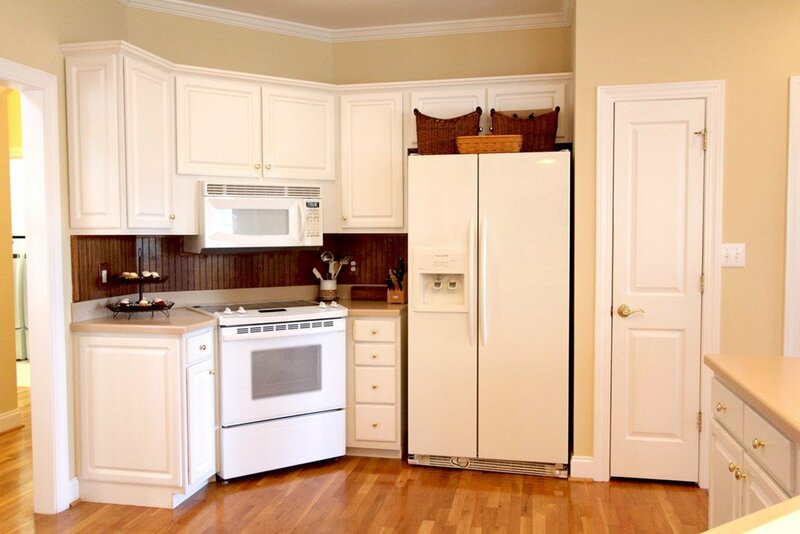 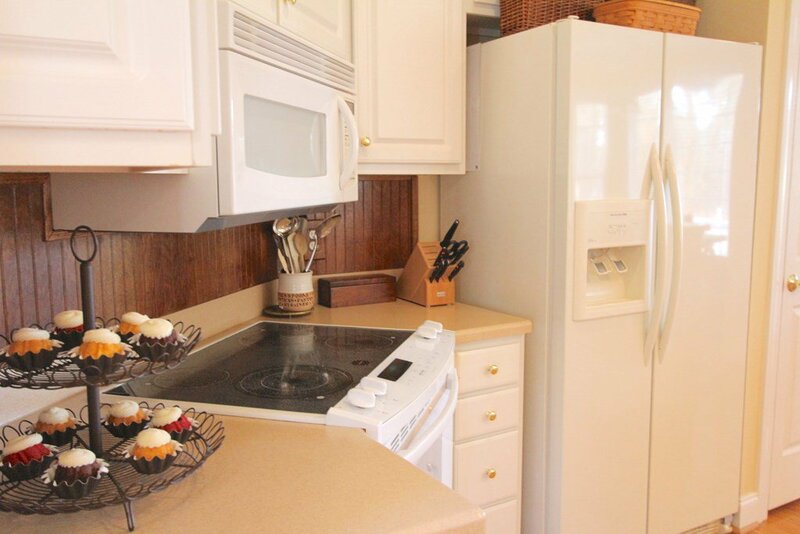 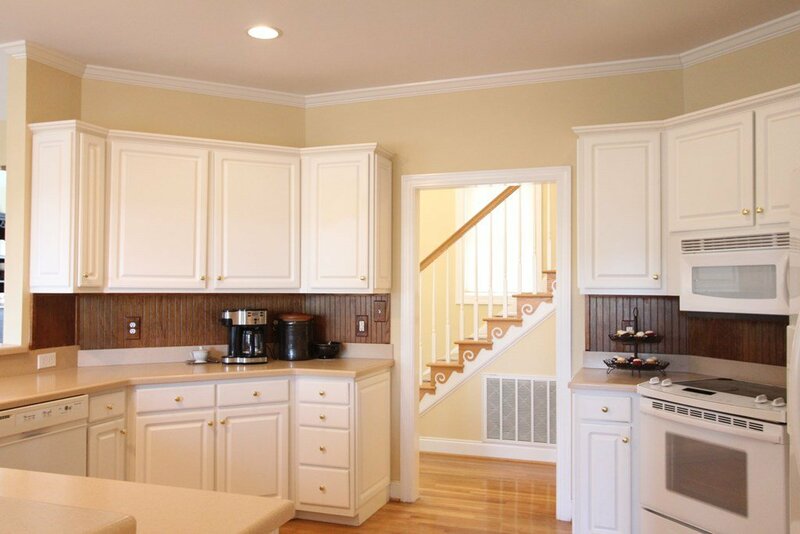 The kitchen features plenty of counter space and cabinets, Corian counter tops, range/oven with built in microwave. 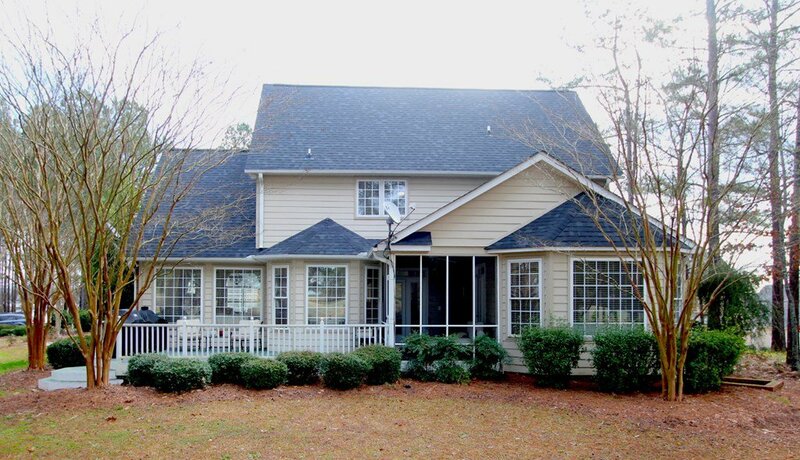 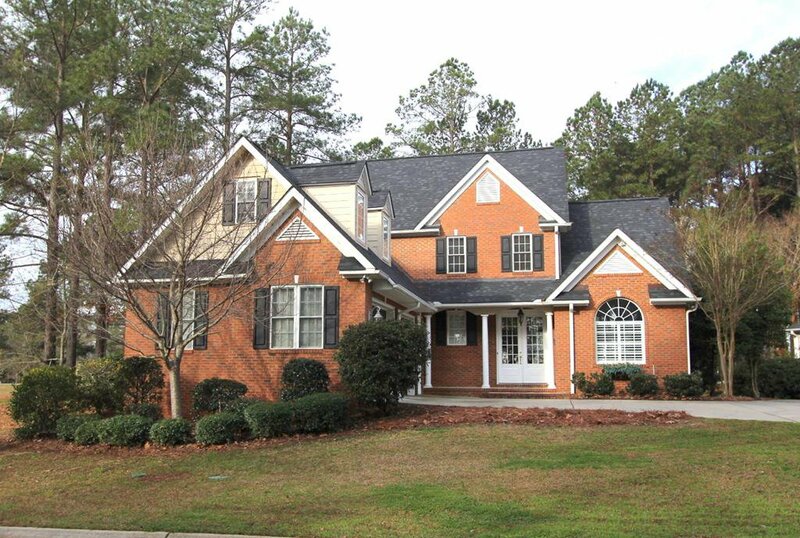 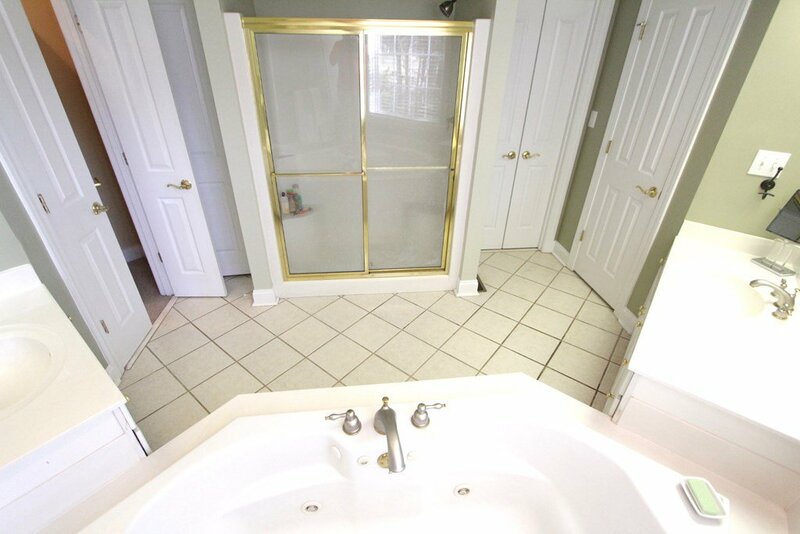 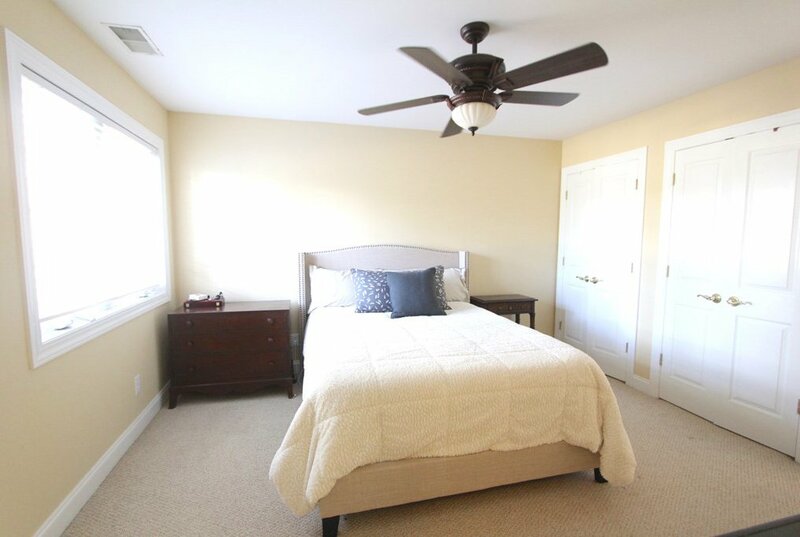 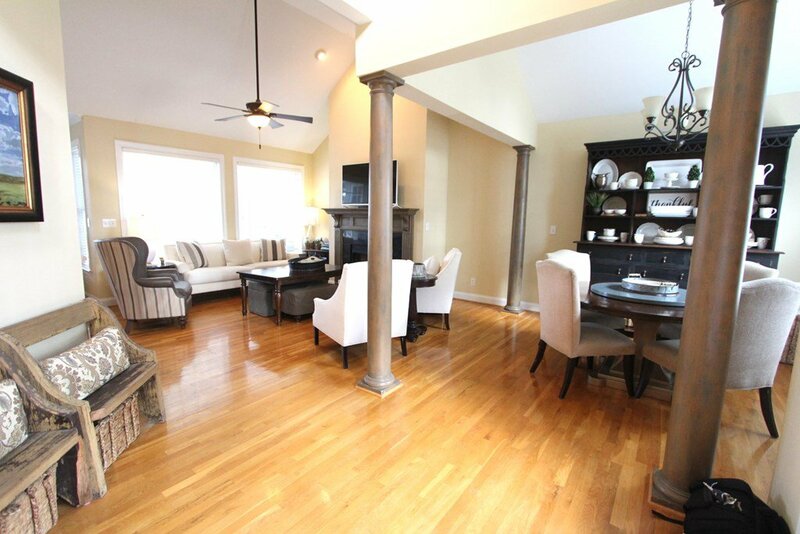 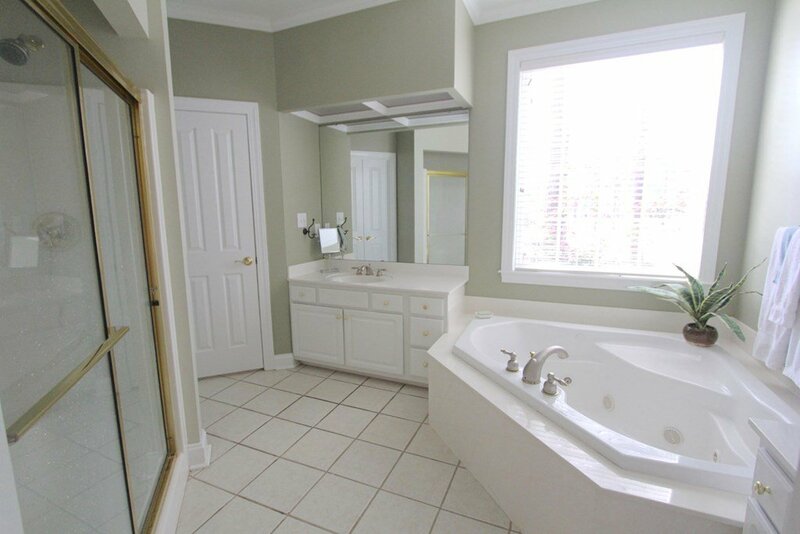 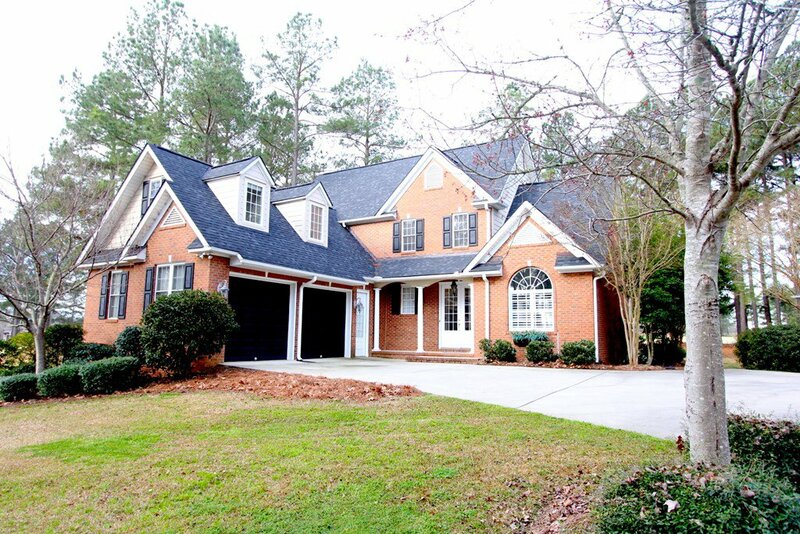 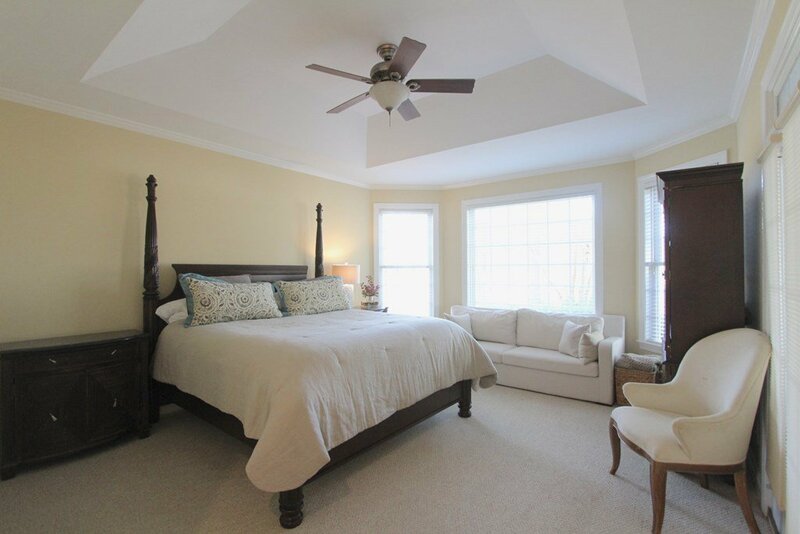 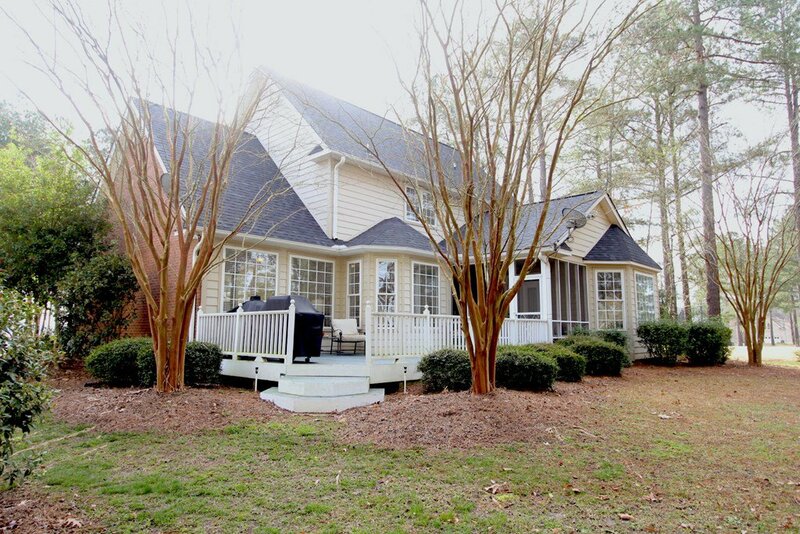 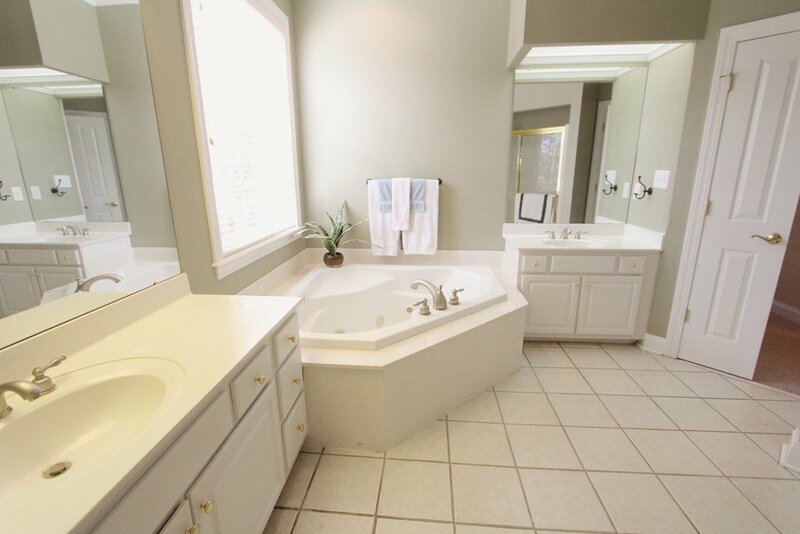 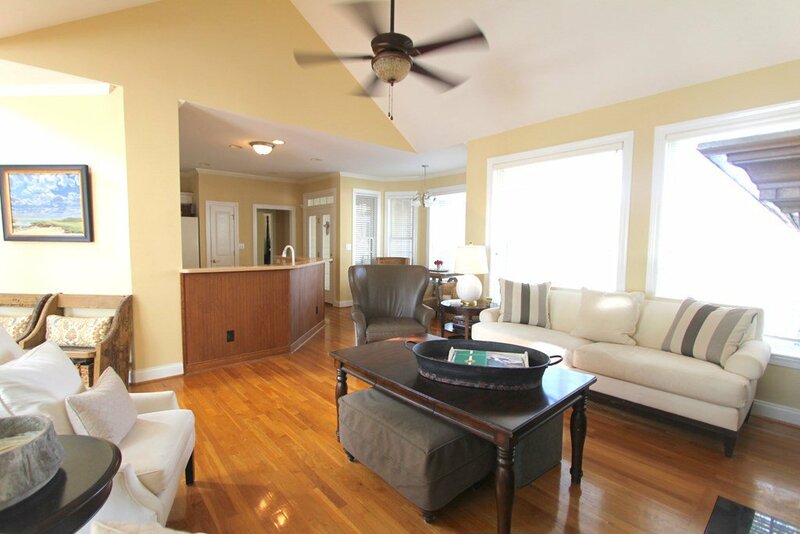 Master bedroom on main level with separate whirl pool tub and large shower plus walk in closet that's huge. 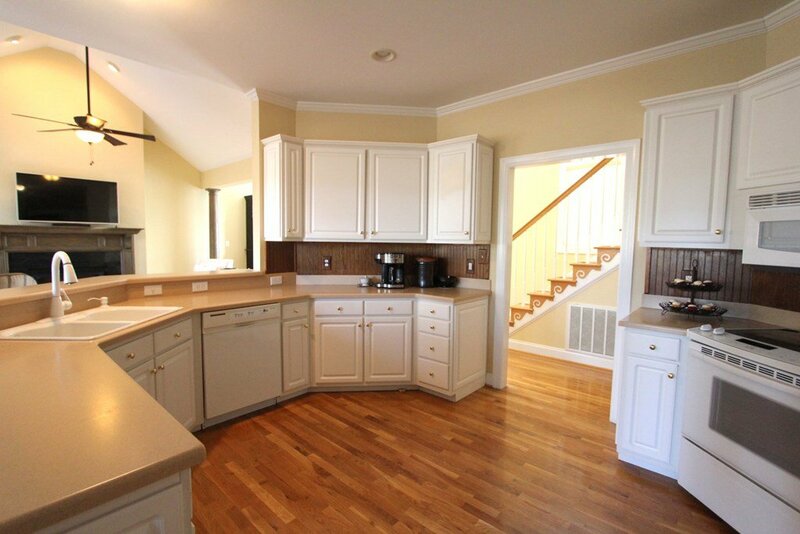 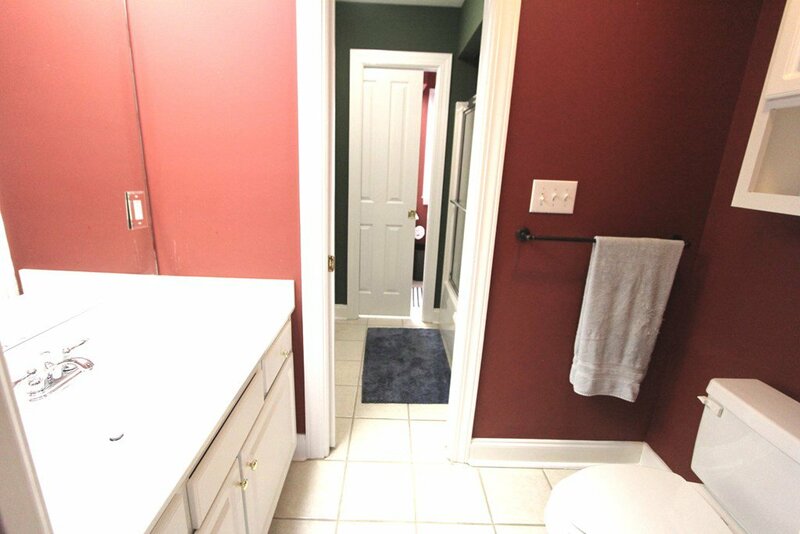 Laundry room with sink and cabinets and an oversized garage. 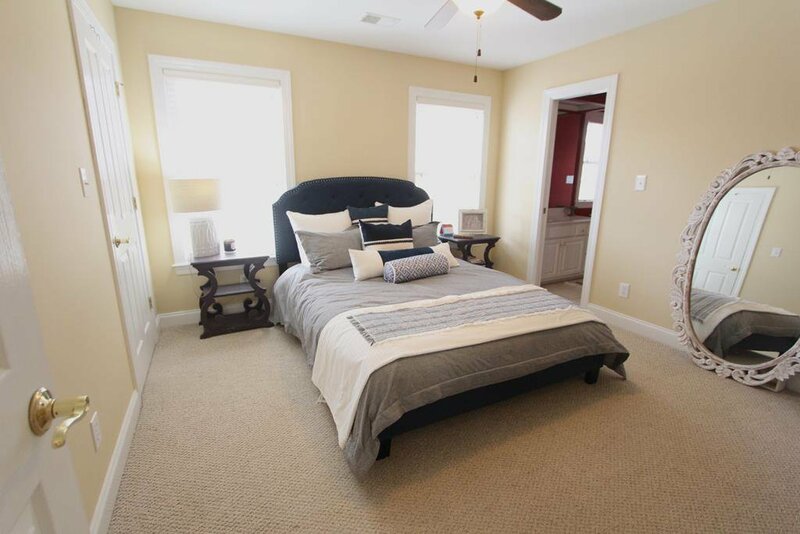 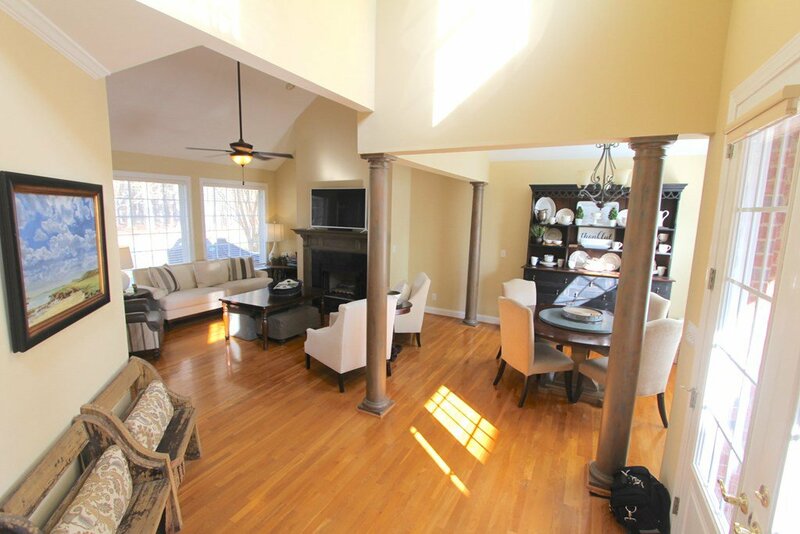 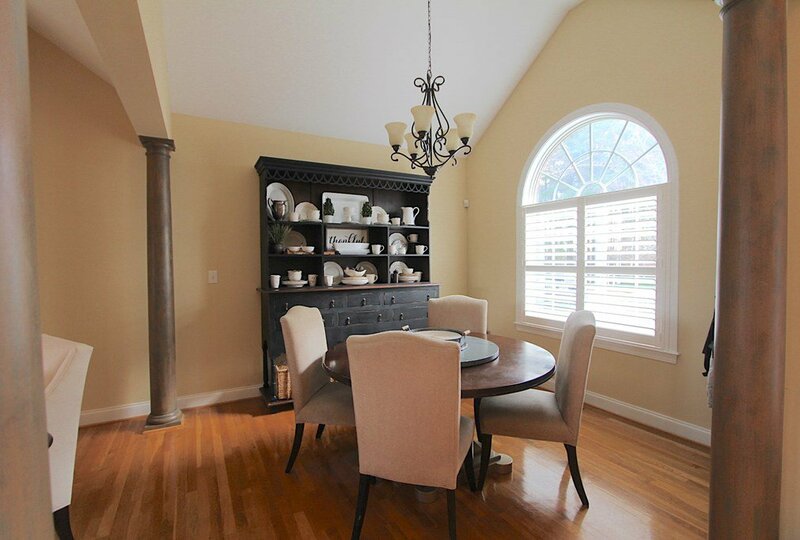 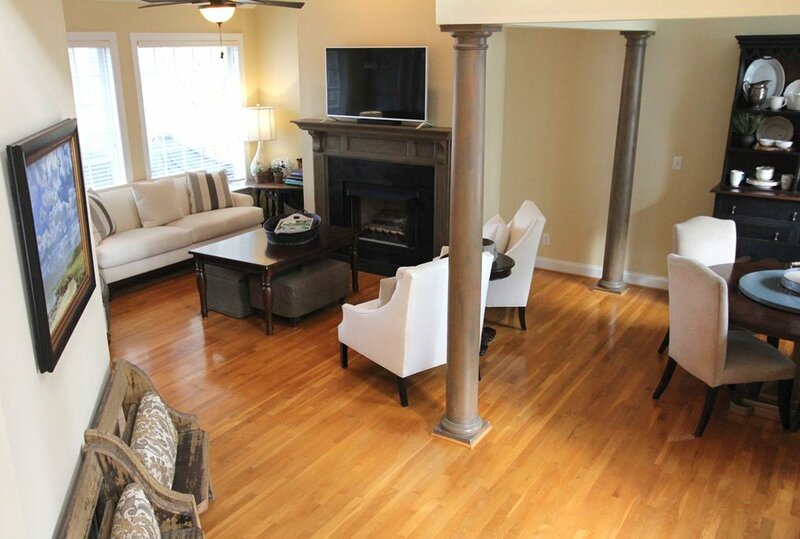 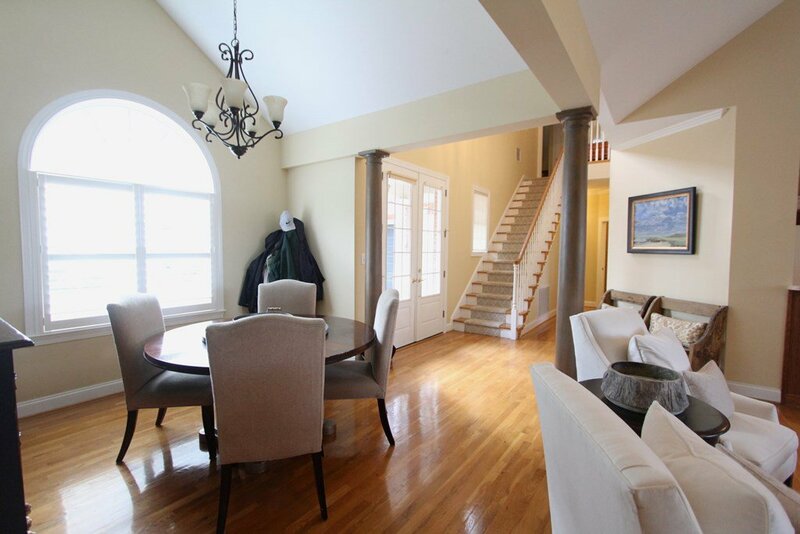 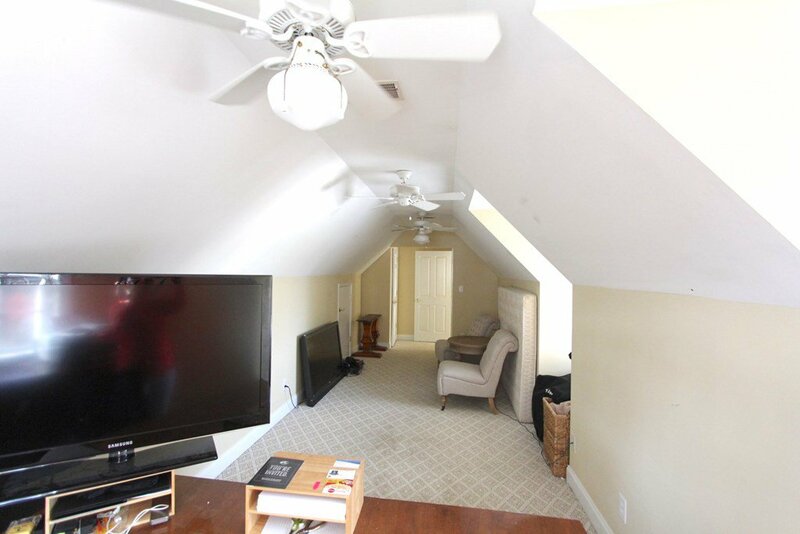 Upstairs are the guest bedrooms and bonus room. 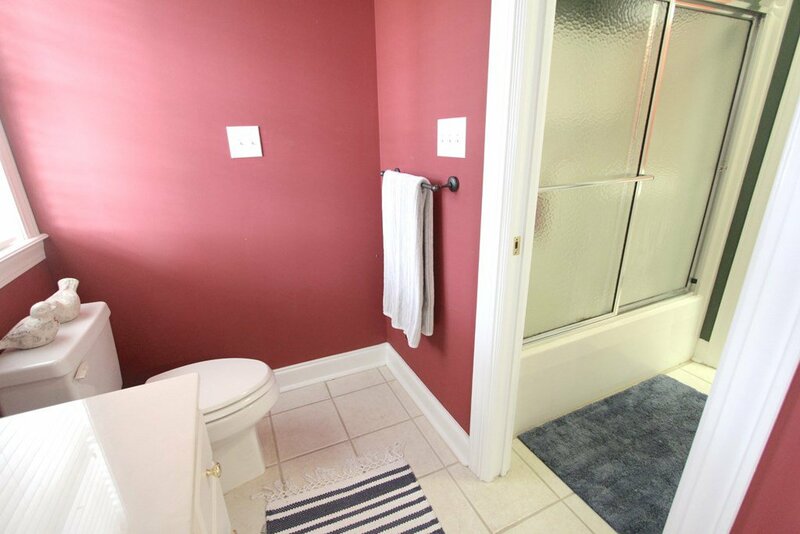 Perfect set up for your privacy while providing plenty of space for your guests or a home office. 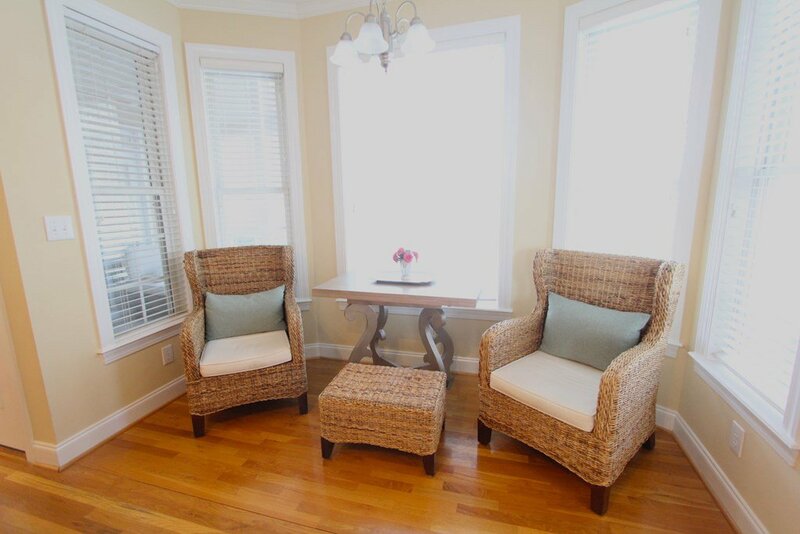 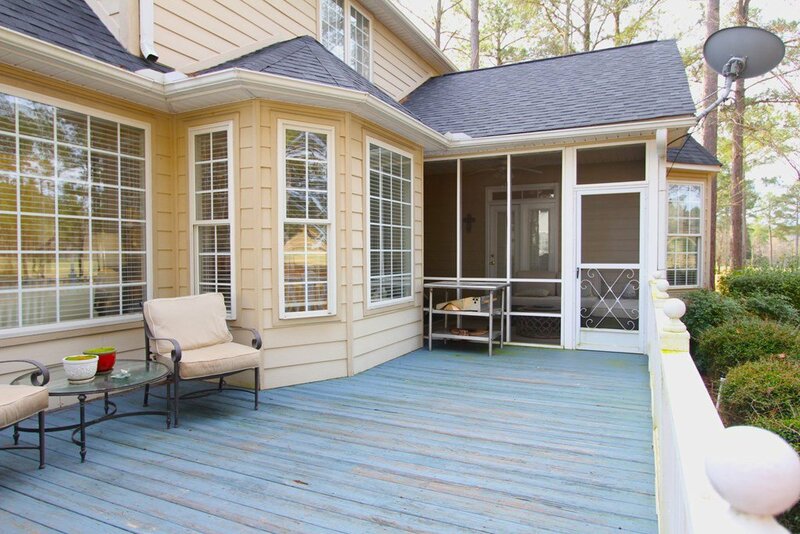 To add to your pleasure, there's a screen porch to enjoy a refreshing drink and relax at the end of the day.